A contract is not a document; it is a particular type of legal relationship that we have power to create and to shape to meet our needs and objectives. Once we grasp that truth, we might start to ask whether there is a need in some sectors – especially those involving the supply of employment services, human resources and human services – to re-appraise the type of legal relationships that we create and the way we create them; because what we put into our contracts says a lot about the relationship that we will get out of them. Reclaiming the Power of Self-Regulation in the Employment Services Industry. In the Future of Work, the employment services industry must reclaim its power of self-regulation. It’s not about setting up sympathetic hierarchies to make soft-edged rules for the commercial comfort of “the Regulated” – as some industry detractors want us to believe. It’s about using relational resources that can be discovered at the positive core of the industry to nurture response-ability – the ability to choose and to act as effective and ethical agents in multi-actor employment services transactions. And it might require us to take a new look at what we think we know about the compliance education and compliance activity upon which we’ve been dependent to date. How might we begin that process? We are living at a time when there has never been more compliance and regulation in organisational life and it is killing the joy, adventure, wonder and passion in our work. Everywhere I go, I hear from people that they want to spend more time on the bigger, life issue for working, which is to contribute something meaningful and less time on the ‘paperwork’ and compliance aspects of work. People are crying out to be engaged in more meaning, more contribution and less compliance. Please don’t get me wrong; I am not saying that we don’t need checks and balances in our organisations to ensure that we are ‘safe’ and secure across the board; what I am saying is that we need to restore the balance and change the order of the questions. Rather than safety first, let’s put adventure first. Rather than compliance first, let’s look at how we can experience more contribution and meaning. ‘Most companies today are committing a fundamental mistake: they are “doing” compliance –the U.S. spent $29.8 billion on compliance activities in 2010 according to a study from AMR Research – but they are not “getting” more compliance. The frequency of compliance violations is increasing rather than diminishing and the impacts of non-compliance in a more interconnected and interdependent world are much more dramatic. Having spent the last 18 months or more designing a code for assisted self-regulation of the employment services industry, comments like these were always going to capture my attention. What had also captured my attention was a submission to the Queensland Labour Hire Inquiry along lines which suggested that, in order to achieve compliance with already existing statutory regulation, perhaps all that is needed is more education about compliance. There are several reasons why I think we’re going to need more than that. The first is that education is not always a good predictor of compliance; and in my experience, it’s the already-mostly-compliant, who turn out for the education! Moreover, compliance education is often too narrowly targeted at a single point of agency in the interplay of multiple actors, who are in a position to affect real outcomes – it is directed to employers, or to employment services providers, or to consumers; rather than being designed to build understanding and promote collaborative action simultaneously from multiple parties’ perspectives, stories and experience. There are, of course, exceptions … but, in the manner of exceptions, they are exceptional! If you focus on a problem and you design around a problem and you build actions around a problem, what you’re more likely going to get… is more of the problem. So, what do we do if we choose not to focus on the problem – bearing in mind that making that choice might be our first step towards effective self-regulation? You feed that energy when you’re focusing on the problem. Whereas you could say, ‘What would I rather was happening?’ Paint a picture of that. ‘These are the things we would like to be experiencing. If you’d like to be experiencing these similar things, come into conversation with us and we’ll see what happens’. Several things immediately fell into place. Firstly: Industry or professional self-regulation isn’t about making do with sympathetic hierarchies & soft-edged rules; it’s about using relational resources to inform choice and to act as effective and ethical agents in multi-actor employment services transactions. We provide an appropriate standard of service to your work seekers and customers. We act with integrity and deal fairly. …it is really making statements about what it would “rather was happening”. It is redirecting what has previously been problem-focused energy towards describing and achieving positive outcomes that are consistent with values of service and fair dealing that can be discovered at its positive core. Thirdly: When an industry or profession commits itself to collaboration with its interest-holders, it positions itself to co-produce an architecture that can supports constructive dialogue about acceptable outcomes, which make valuable contributions to the proper functioning of the labour market with which it interacts. Everyone benefits. It is important, in seeking this new approach, that we do not reject the notion of regulatory compliance, so much as highlight the type of self-regulation that is essential to achieve the “opposite of non-compliance” – once the necessary foundational knowledge has been attained. It therefore remains necessary to educate and equip businesses with the tools and knowledge about what the rules are and how to avoid breaking them. Beyond that, we must have the imagination to go further; because education, in the absence of an effective capacity for self-regulation, can only ever create the awareness of non-compliance. For it is the ability to self-regulate – to make the right choices – that will advance the industry beyond the state of non-compliance, which many presently assert characterizes it. As each new story about labour market exploitation and non-compliance appears on a current affairs program (or in a public inquiry) doing damage to the employment services industry’s social licence, the awareness of non-compliance increases and we are reminded of the need for the industry to reclaim its power of self-regulation. Many firms already exercise that ability on a daily basis. They lead by example. They are to be commended for it. What is necessary to take the next step in reclaiming the power of self-regulation is for the industry to engage its interest holders in the co-production of statements of acceptable business outcomes that make valuable contributions to the proper functioning of the labour market. There is now an important conversation to be had; and I hope you might join it. Stephen Covey’s expression describing the ability to choose our response to any situation. Tougher penalties and crackdowns – superficial, short term “solutions” to labour market exploitation. When things go wrong within a high consequence industry such as the employment services industry, a sort of “moral panic” can sometimes set in that sees interest groups demanding tougher penalties and crackdowns. Whilst penalty increases and crackdowns meet a political need to “get tough” on offenders, if one scratches beneath the surface, there is often little substance to them. At best, tougher penalties and crackdowns merely serve a short term interest in retribution – and then only if they are sufficiently well-directed to catch the principal offenders and those who benefit from the offence. It is widely accepted (and you can understand it from a risk management perspective) that the effectiveness of general deterrence depends upon the likelihood of being caught and the consequences of being caught. Tougher penalties only address the consequences of being caught. Unless there is a commensurate likelihood of being caught, brought about by focussed intent and increased resources in support of enforcement policy, sustained over time, the effectiveness of penalties and crackdowns is rarely as great as one might hope or predict. Penalties and crackdowns also fail to address rehabilitation, which in the context of employment services industry regulation, can be understood in terms of improvement and correction of business practice concerning the supply and use of labour and employment services. So whilst there may be many interests clamouring at the moment for tougher penalties and crackdowns, what is really needed is change and industry improvement at a more profound level – and to be effective, it will have to be industry led rather than imposed by courts and tribunals in the form of penalties and sentencing measures. “High consequence” in terms of the adverse human rights impacts that employment services agencies’ operations may have on work seekers – masking and sometimes legitimising exploitation. 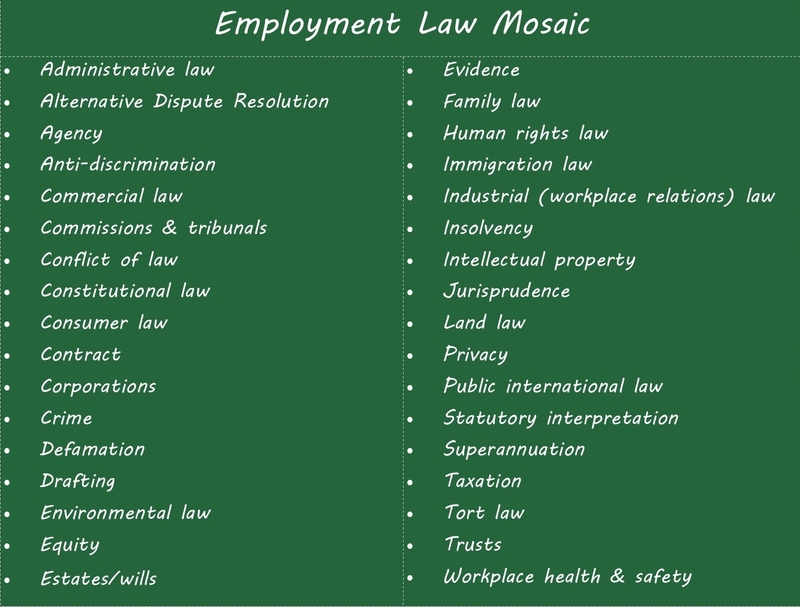 Ponzio v B & P Caelli Constructions Pty Ltd  FCAFC 65 (14 May 2007) at  cited in Fair Work Ombudsman v Quincolli Pty Ltd & Anor (No.2)  FMCA 17 (18 February 2013) at .